The deadline for submitting immunization records for children in schools or childcare programs is swiftly approaching. Parents have until Wednesday, Feb. 20, to shore up any missing or incomplete vaccination records with the county before the annual school exclusion day, when children can be sent home for not having vaccines or up-to-date records. Each school and care facility must report gaps in vaccine records to the county health authority. Additionally, each school and daycare site is required to make its immunization rates available for easy access by parents and the public. If information is missing, or no records exist, parents or guardians receive a letter from the county. "If they don't have records or records are insufficient, we send them a letter. It covers daycares, and essentially any place children go for care or school," says Michael Paul, Columbia County's public health director. All schools and daycare programs in Oregon require children to have records showing proof of immunization, or an exemption letter on file. Exemptions are granted for both medical and non-medical reasons. Parents can opt-out of the vaccine requirements by submitting a vaccine education certificate received from a physician, or by watching an online video and submitting a certificate. Vaccinations have gained increased scrutiny in the wake of a measles outbreak in Clark County, Washington, where 43 cases of the preventable disease had been confirmed since Jan. 1. 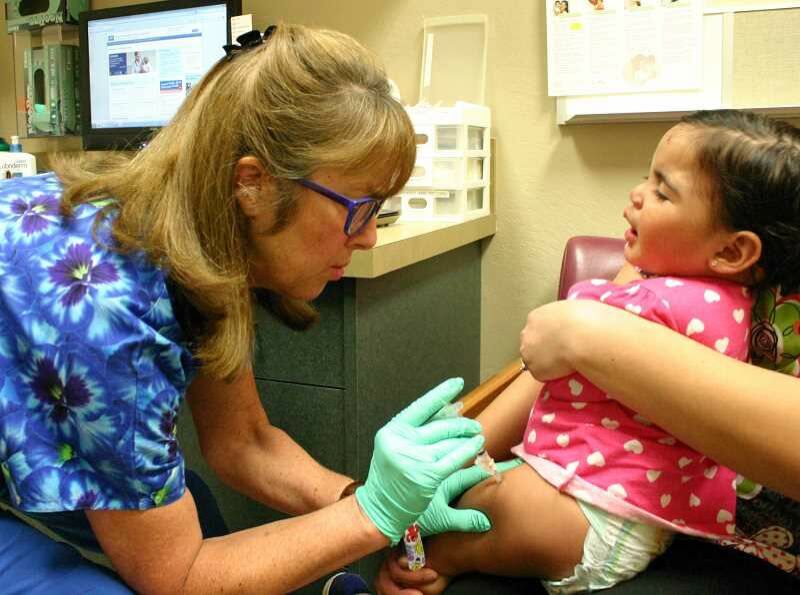 While most school and daycare sites in Columbia County reflect high percentages of immunization compliance, some are marked on a statewide map as "most vulnerable" sites. South Columbia Family School, a public K-8 charter school in Warren that caters to families of home-schooled children, shows only 72 percent of the school's 71 students were fully vaccinated in 2017, according to data from the Oregon Health Authority. That particular site noted 11 percent of its students had nonmedical exemptions for all vaccines, and 25 percent had opted out of the MMR2 shot, which includes the measles. The Oregon Health Authority requires eight different vaccines for children in kindergarten through 12th grade. Children in any school or care facility — whether public or private — must provide proof of immunization or an exemption. In Columbia County, public health officials investigated four cases of suspected measles. Each turned out to be negative, but Paul says investigating even just four cases presents a strain on the county's limited resources. "Measles is kind of a big deal," Paul says, noting anyone with the disease will be contagious four days before a rash appears, and up to four days afterward. "We would be easily overwhelmed if we had the situation of Clark County. For us, it would be a much lower number of cases to qualify as a public health emergency."